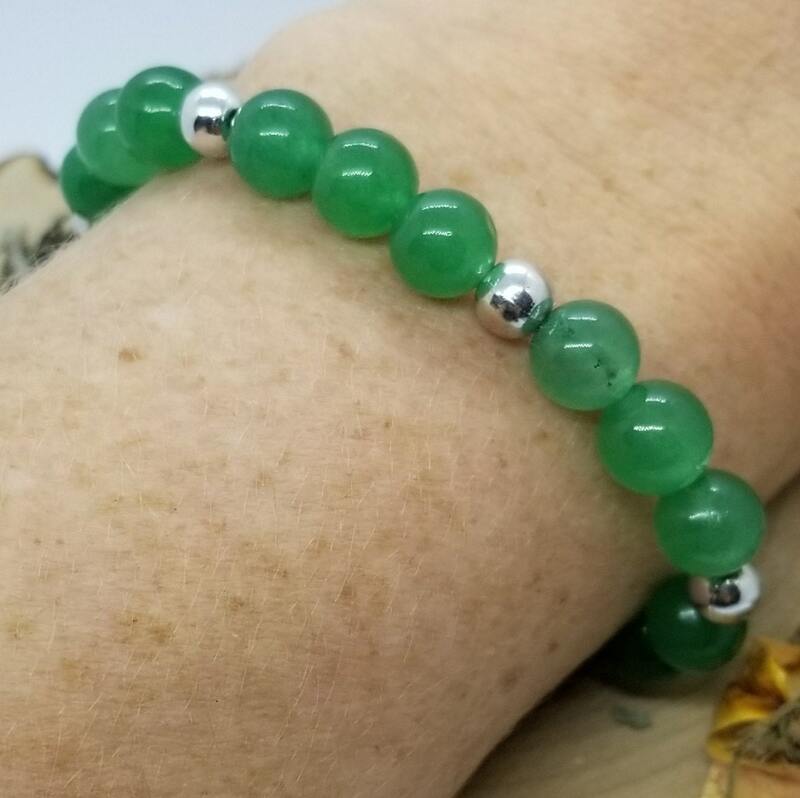 Made with the intent of love, light, and peace this bracelet will be Reiki Attuned before shipment! 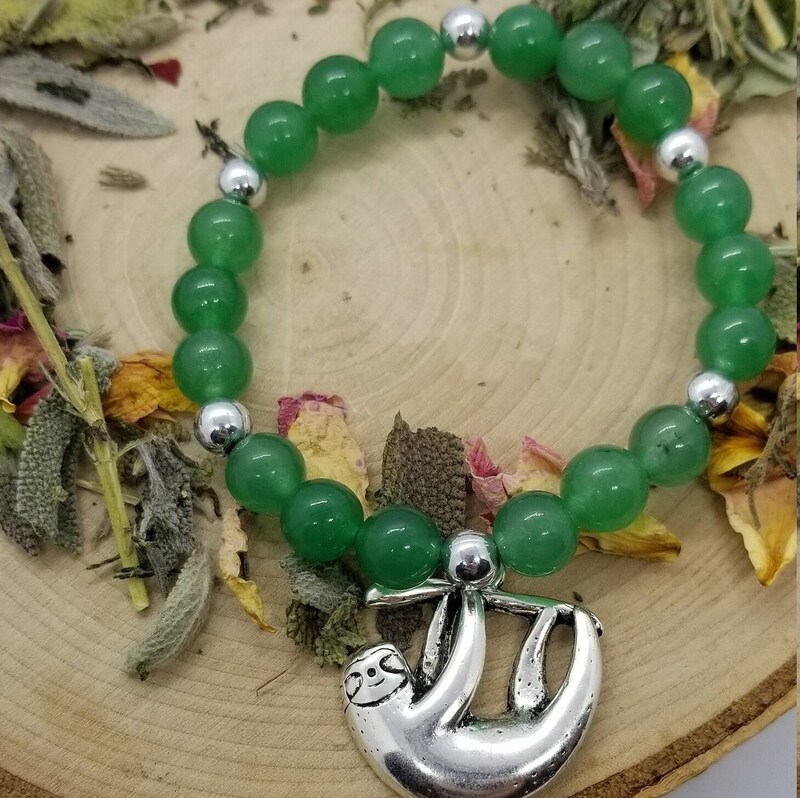 Made with 8mm Green Aventurine and the most adorable Sloth Charm to remind you to let go and things will come. 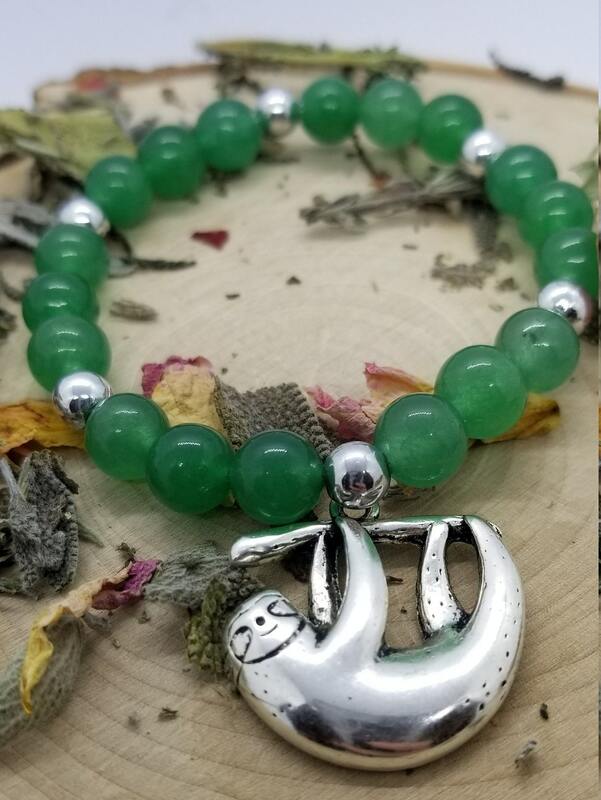 Green Aventurine is known as a "stone of opportunity". 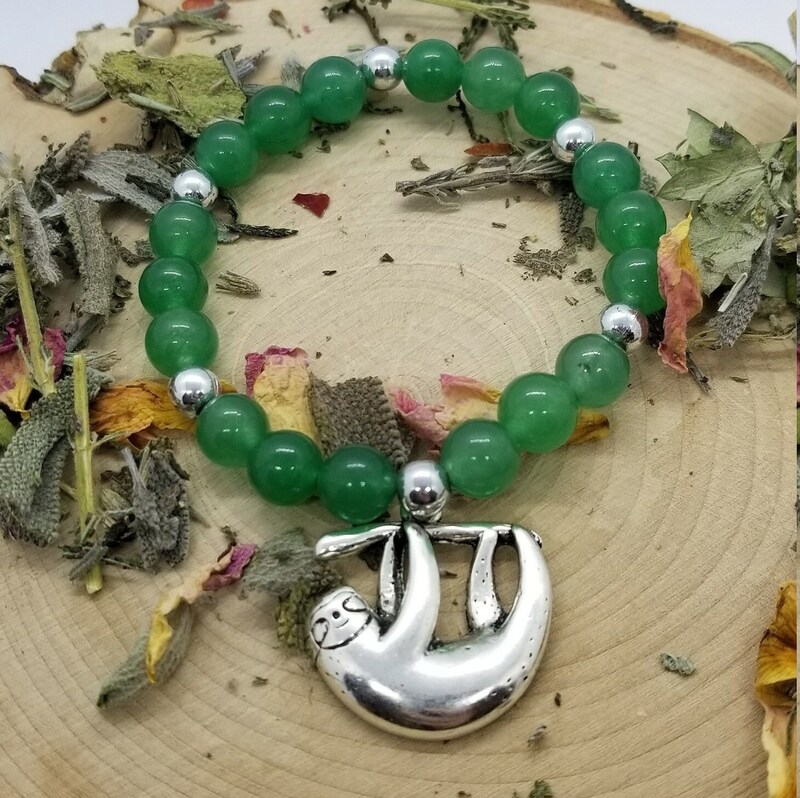 It is said to manifest prosperity and attract good luck. It has a very strong earth connection and can help in the release of old habbits. Please note: I am not a health care professional Always seek care from a licensed practitioner.